Revitalize your mind, body, and soul with a hearty swig of BEC Cola Canadian Soda! 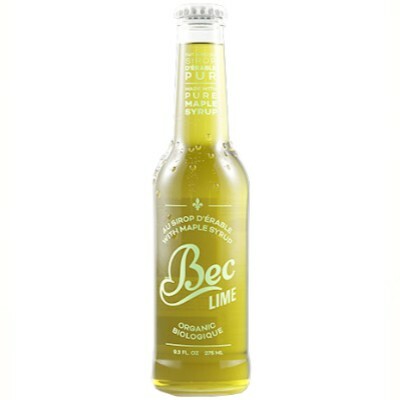 When you’ve got a thirst that could knock down Wayne Gretzky, let BEC Cola help get you right back into playing shape with its refreshing notes of lime flavor and its energizing hit of caffeine. It’s a special Canadian treat that’ll let you keep your stick on the ice! Carbonated filtered water, organic maple sirup (9%), organic sugar, organic lemon juice (4%), acidity regulator E330, organic natural flavor. Contains GMO. Nutrition facts (for 100ml): calories 40Kcal, total fat 0g (saturated fat 0g), total carbohydrate 10g (sugar 9g), protein 0g, salt 0g.